One of the first things Caterina must do after her plane lands in Italy at Milan’s Malpensa Airport is find her way to the city of Milan. You can learn about how to do this at learntravelitalian.com/interactive.html from one of the many free, interactive dialogues on this site. But what if we want to begin our Italian adventure in Venice and land instead at the Marco Polo Airport on mainland Italy just outside that magical city of islands? 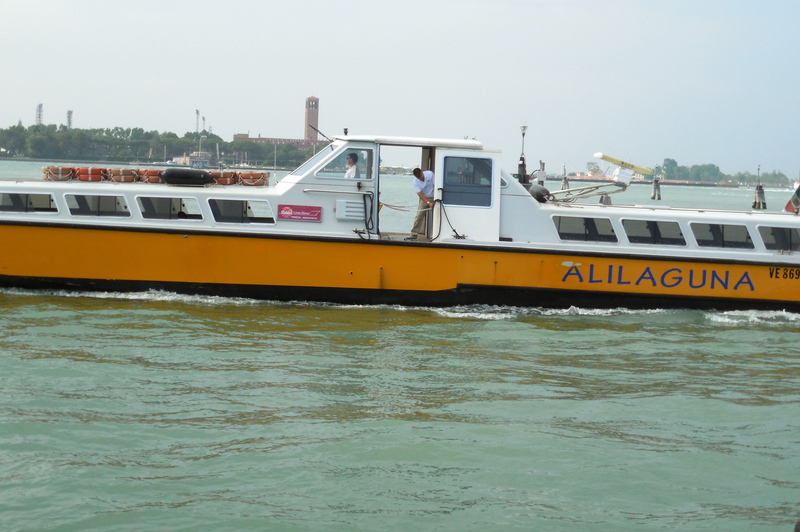 Read on and find out all about transportation to and along the waterways of Venice! 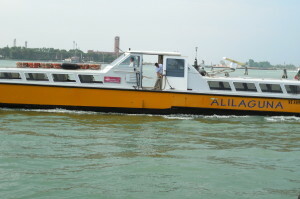 If you would like more images of how to navigate the waterways of Venice, visit our Pinterest site at Stella Lucente Italian. 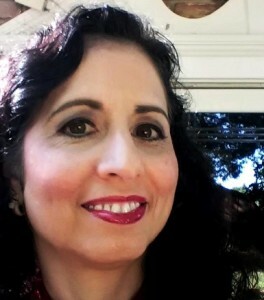 Conversational Italian for Travelers series of books and a teacher of Italian for for travelers to Italy in the Peoria and Chicago area.